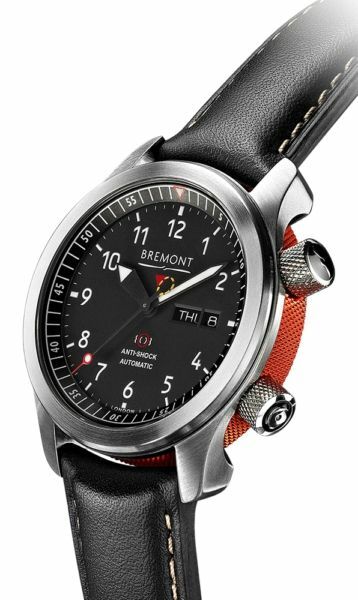 The Bremont MBII was designed to be quite simply the definitive British aviation chronometer. 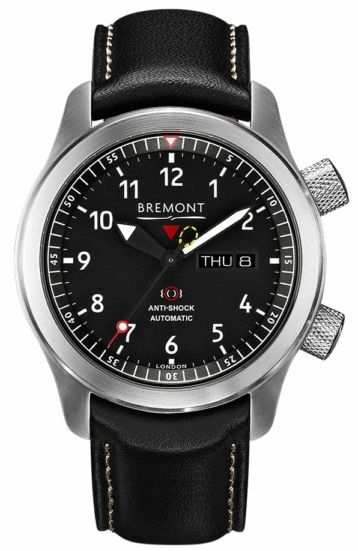 Tested and designed in conjunction with the iconic British aviation company 'Martin-Baker.' 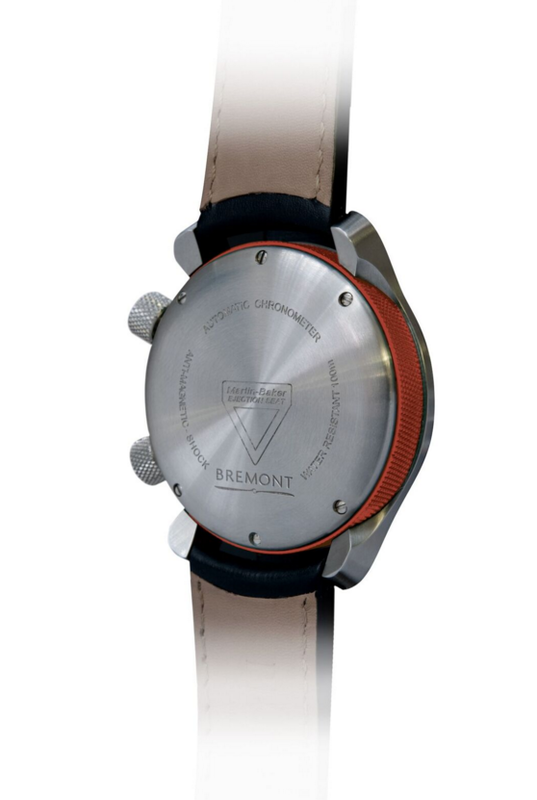 The movement is protected by an anti-magnetic Faraday cage and a specifically designed anti-shock case mount. The MB range had to withstand the same rigorous testing as the seats themselves. This includes shock, vibration, temperature extremes, and salt-fog tests amongst others. The automatic timepiece features a 43mm hardened stainless steel case and a domed, anti-reflective, scratch resistant sapphire crystal. The black dial has an Arabic numeral index with the day and date at 3 o’clock. The end of the seconds hand features a black and yellow loop which matches the ejection pull handle. The aluminum barrel has a knurled texture, just like the components from the ejection seats. The barrel is available in a neutral anthracite, a subtle green or vibrant orange for a pop of color. The watch is delivered on a black calf-skin or rubber strap.